When you refer to different points of view, it can be easier to understand the fintech world. Especially, when the opinions are created by experts and people who are passionate about finance, technology, payments, security, and more. As one of the most popular personalities in the fintech world who specializes in cross-border payments, Faisal Khan shares the payments and fintech knowledge based on his experience. He’s a payment consultant and an evangelist for digital money. Faisal is also super active on Quora, where he shares valuable feedback on fintech and payments-related threads. Tom Groenfeldt is a Forbes contributor that writes about finance and technology. He was recognized as one of the fintech influencers worth to follow. 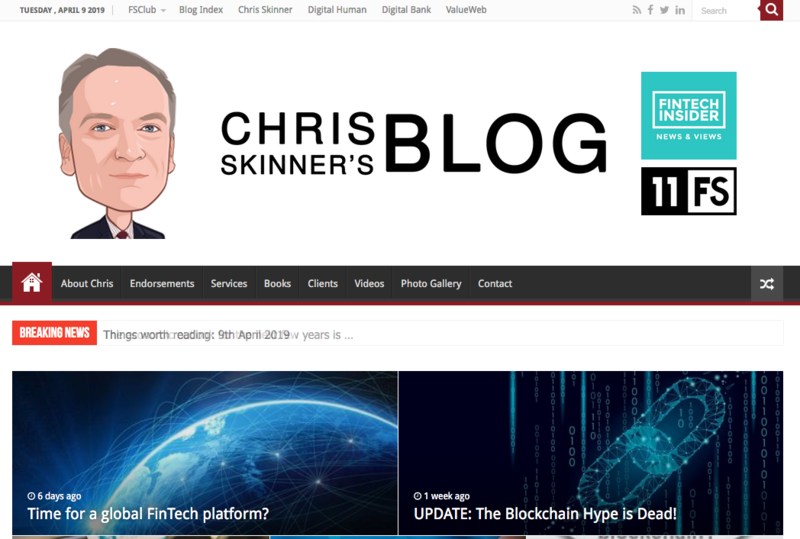 Chris Skinner’s blog is one of the most popular fintech websites with commentary, news, and opinions of the finance and fintech worlds. He’s a bestselling author of the books, such as Digital Bank, ValueWeb and its new sequel Digital Human. He’s not only been called one of the most influential people in banking, but also a Chair of the European networking forum The Financial Services Club, Chair of Nordic Finance Innovation, as well as being a Non-Executive Director of the Fintech consultancy firm 11:FS, to name a few. Pascal Bouvier is a former banker and a co-founder of a fintech venture firm, with a wide financial experience. He turns his knowledge and financial services-based background into insightful blog posts and biased articles with pieces of advice for startup owners and the fintech industry. Also, you can find some humorous stuff in here. Highly recommended! 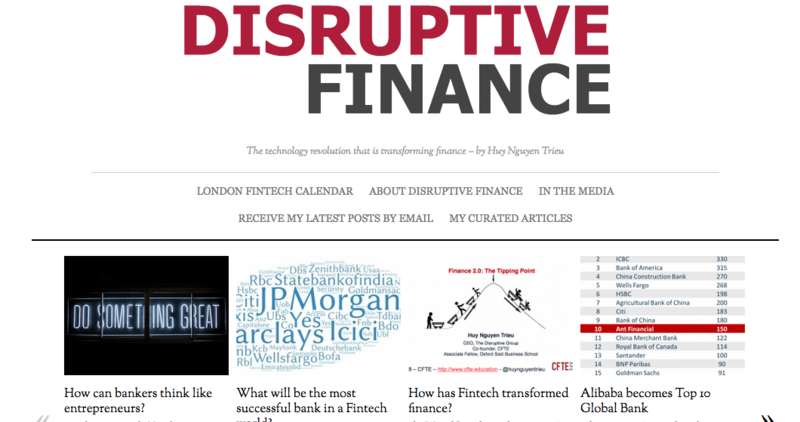 Disruptive Finance is a personal blog by Huy Nguyen Trieu. Here you can find not only fintech-related blog posts, but also articles about the impact on consumers and society. 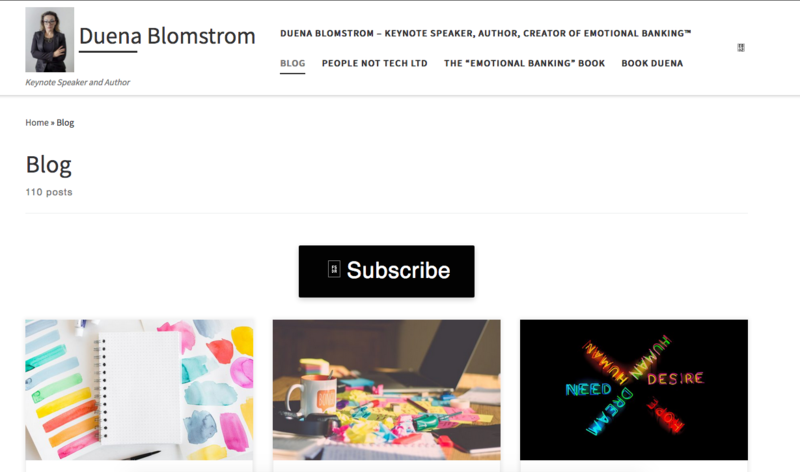 Duena Blomstrom is a keynote speaker, author, and creator of Emotional Banking. On her blog, you can find topics ranging from fintech, banking, and innovation to technology and the future of work. While it’s good to read the author’s personal opinion, personal beliefs, or personal perspective, we also value hard data and analytics that give an overall look at the industry. Let’s see what you can find over the internet! Daily Fintech is an insight-driven service with everyday updates written by market practitioners. Here you can read about Blockchain, Bitcoin & Crypto, Wealth Management & Capital Markets, Small Business Finance & Pension Tech, Insurance, and Consumer Banking & Impact Investing. 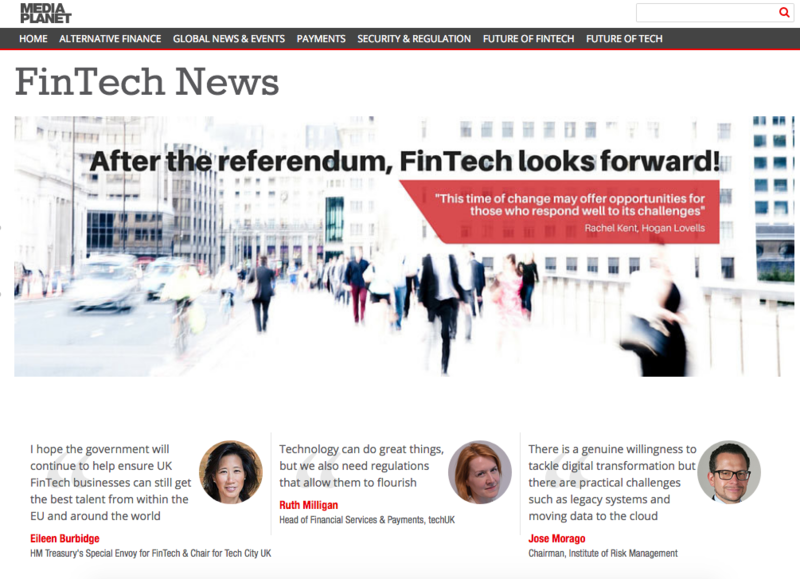 Fintech Weekly is a weekly newsletter with important news that touches the fintech topics. You can also get information about upcoming events, industry conferences and hackathons, and everything that’s hot in the business. As you can read on the main page, FintechLinks is a fintech blog, where you will find insights, reports, updates, and news from dedicated fintech lawyers. 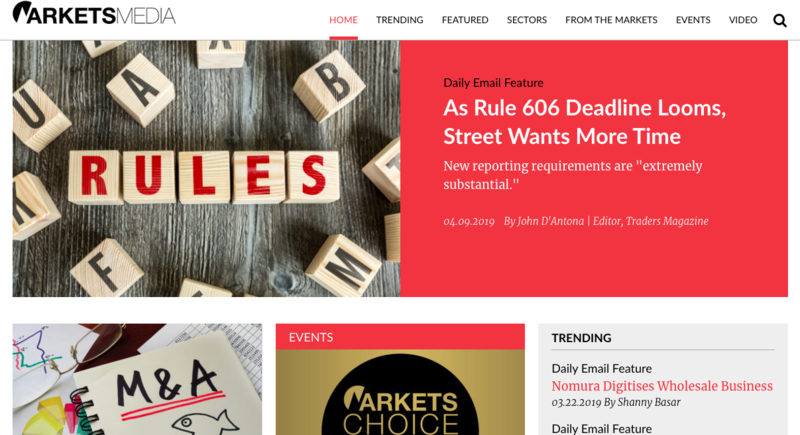 That said, you can read about PSD2 regulation, AI in fintech, cyber risk, and more. Fintech.Finance is an online service where you can find updates on emerging trends and breakthrough technologies. Their team also produces a quarterly publication and offers promotional and advertising opportunities across the industry. 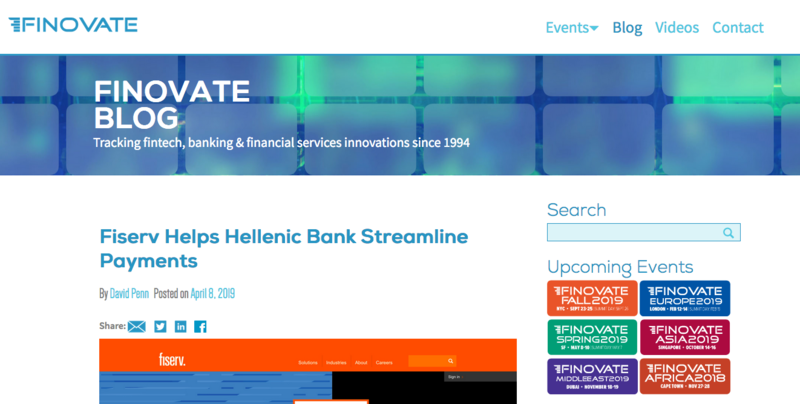 Finovate blog is an online space where the Finovate conference organizers share their knowledge and opinions on fintech, banking, and financial services, as well as conference updates. The independent newswire and information source that covers financial technology, retail banking, and insurance news, to name a few. Besides daily updates, you can find here research articles, white papers, and case studies. On the Credit Union Times website, you can find independent credit union news, including data analytics, as well as digital transformation topics. 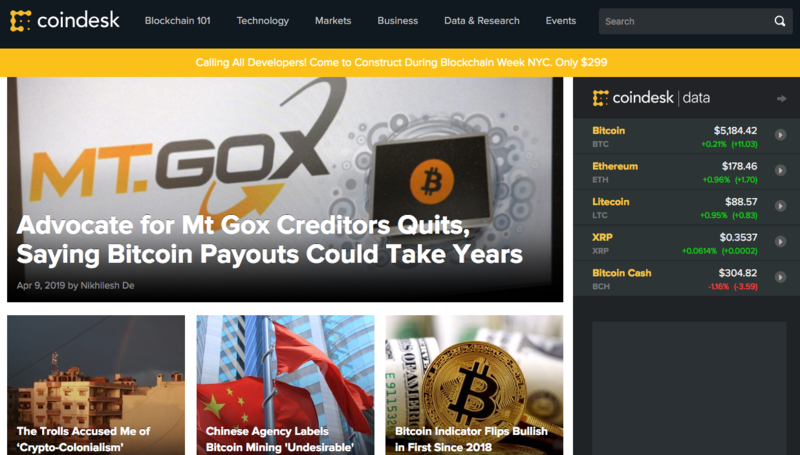 When you’re looking for information about the crypto and blockchain technology, CoinDesk is the right place. These are not only news, articles, and analyses, but also podcasts and videos. CoinDesk also hosts the annual Consensus summit. 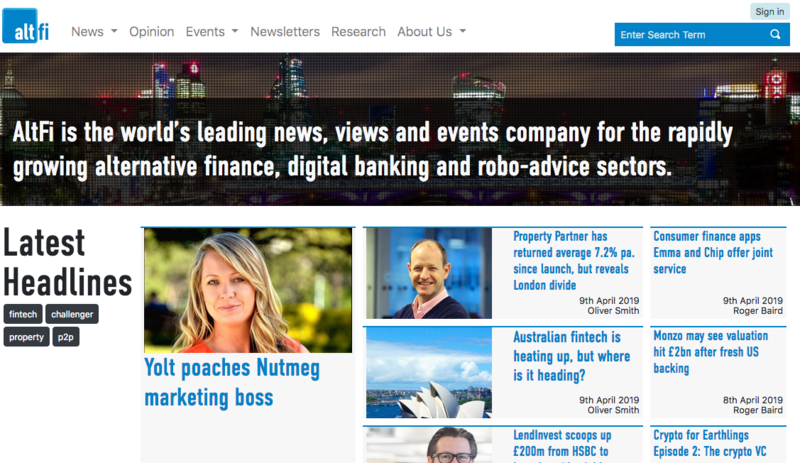 AltFi is a website with fintech news that is focused on alternative finance, digital banking, and robo-advisor sectors. AltFi also runs major industry conferences and seminars globally. The Financial Brand website started in 2007 by Jeffry Pilcher puts a strong focus on marketing and strategy issues affecting retail banks and credit unions. It’s a perfect place and a leading source for banking professionals that look for a broad range of information and insights related to banking and fintech. 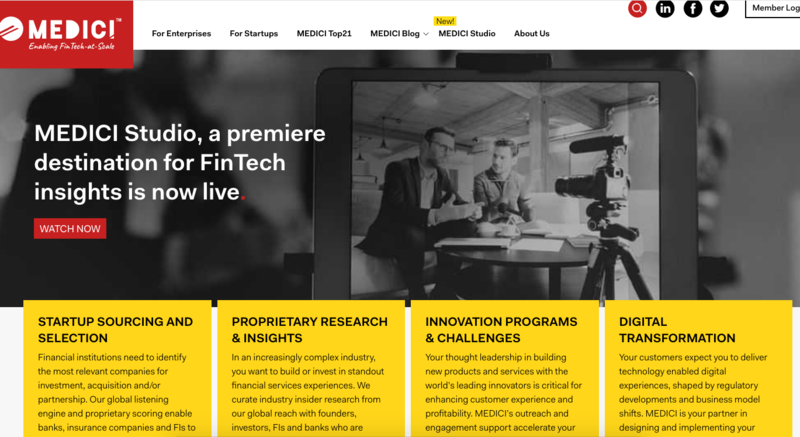 The Medici fintech blog was launched in 2013 as Let’s Talk Payments. 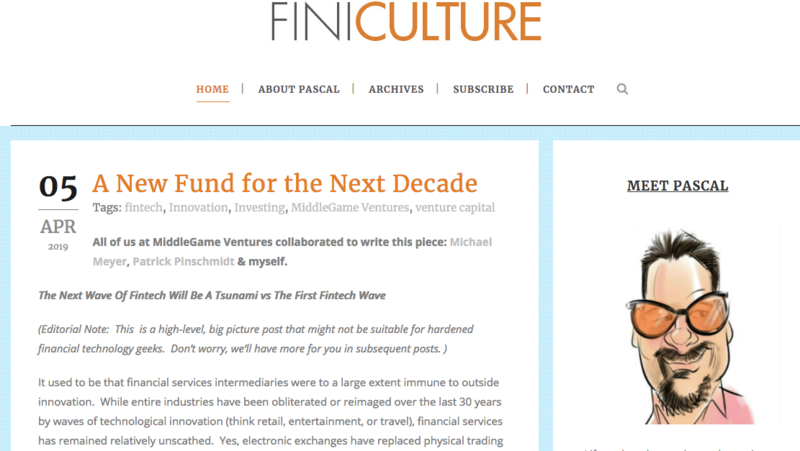 From the very start the site provides news, research and insights for the fintech industry, updated on a daily basis. 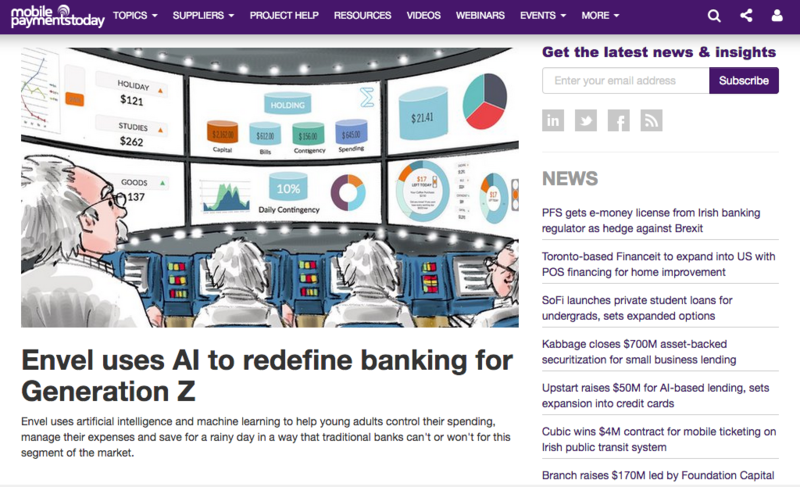 Bobsguide is another source of the latest fintech news and insights. You can find here informative articles, insights, analysis — all that financial technology sector and banking industry need. 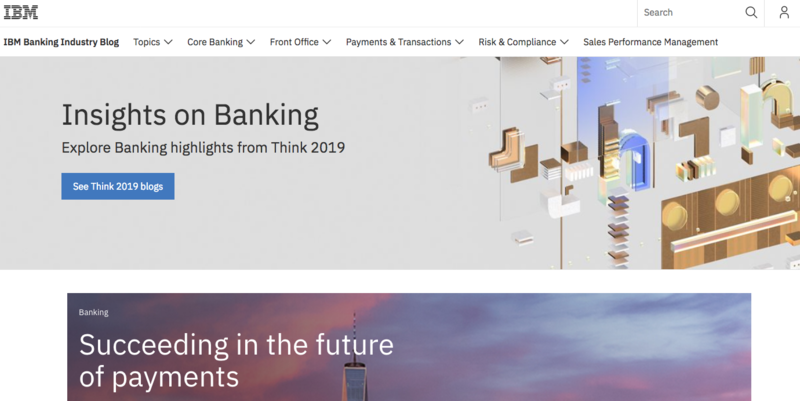 IBM Banking Industry blog covers the topics, such as AI, banking, blockchain, fintech, payments, security, and more. The articles are focused mainly on new technologies, experts commentary, predictions, etc. Markets Media, launched in 2017 is focused on institutional trading and investing. However, you can find here the latest fintech news and information about banks, technology or regulators as well. 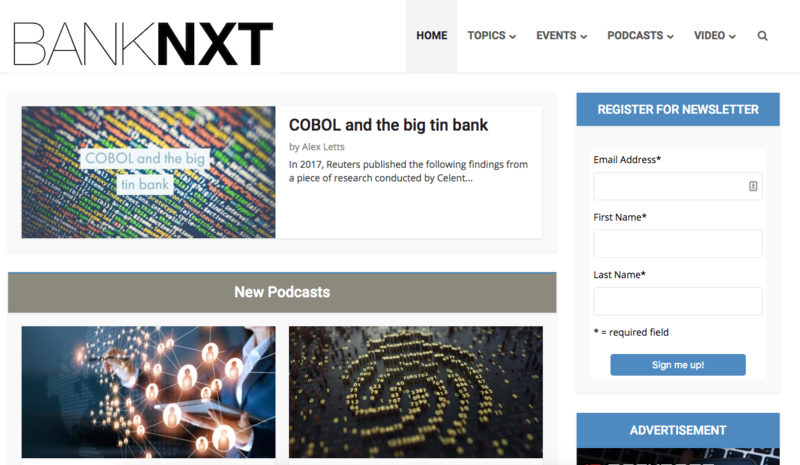 BankNXT, well-known for its strong opinions and financial insights, provides the industry news and thought leadership experience. 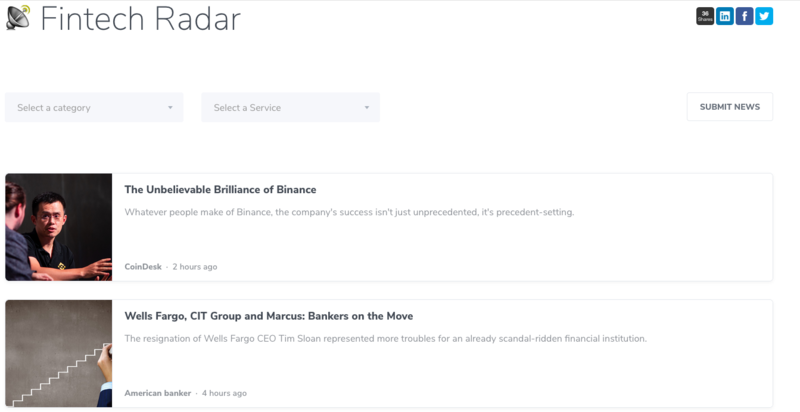 The site is updated regularly with exclusive content, podcasts, and in-depth articles that cover major topics in the financial services sector. The Banker was launched in 1926 and the long presence on the market has helped its team to build a great reputation among financial specialists. Here, you can find a wide range of financial news, expert commentary, analysis, or interviews, and in-depth coverage of the financial sector key points. 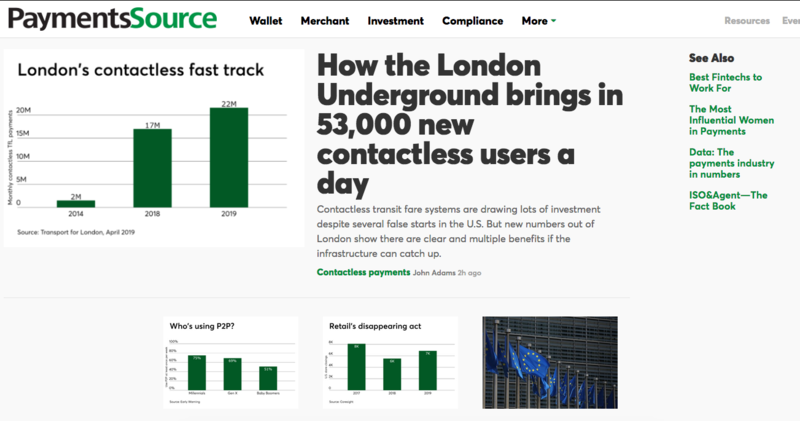 TechCrunch is well-known for their tech-related and startups news, however, you can also find here a section focused on the fintech world. If you look for the news, insights, and analysis from the financial sector, the Financial News website is the answer. Fintech Business, created by Momentum Media and launched in 2015, focuses mostly on the Australian fintech and its impact on the global market. Anyone interested in the fintech industry can find here a dose of knowledge related to market disruption, innovation, payments, data, and similar. Fintech Radar by Fantastico gathers the latest fintech news from various sources in one place. Readers can find news about various financial services, such as payments, blockchain, banking, investments, and more. 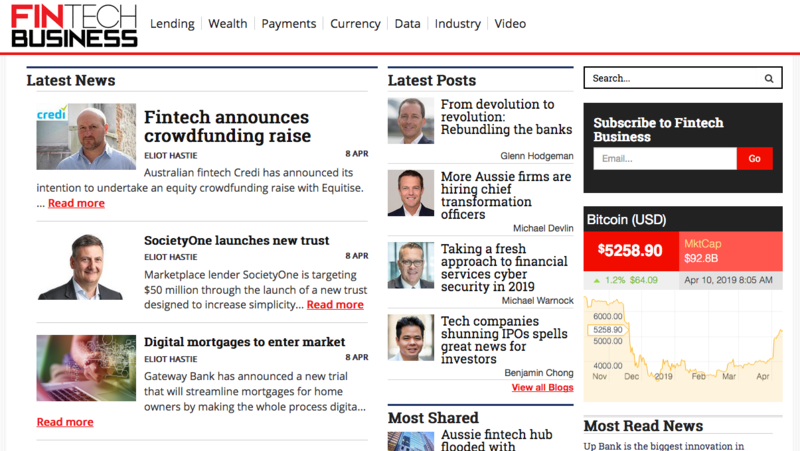 As you can read on the website, The Fintech Times is the world’s first and only newspaper dedicated to fintech. 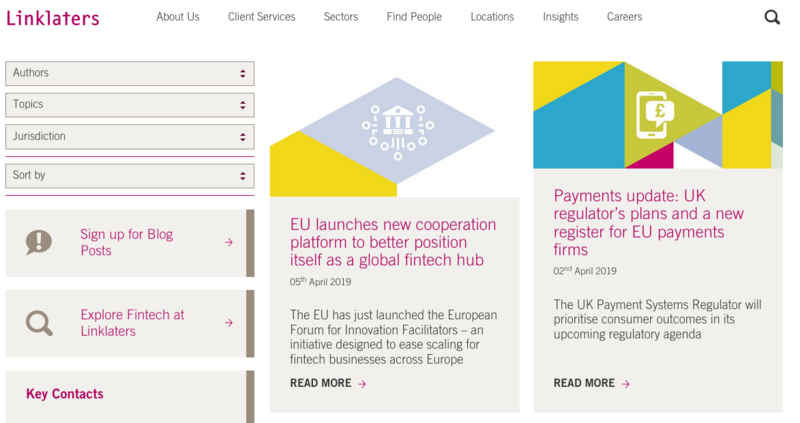 On their website, you can find news from the fintech industry, centered around the topics, such as fintech, paytech, regtech, insurtech, or wealthtech. There are also sections with fintech events, cybersecurity, blockchain, and crypto news, everyone can find something interesting for themselves. BankingTech is a global digital platform that provides daily news, expert commentary, and in-depth analysis that cover areas, such as FinTech, PayTech, BankingTech, and RegTech, to name a few. Finance Magnates provides news, research, and events for the global trading industry. In the Fintech section, you can find payments news, as well as industry-related analyses. 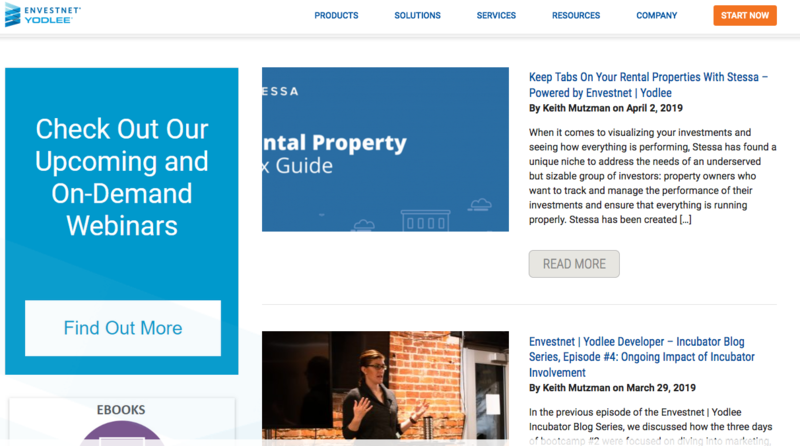 Envestnet | Yodlee blog is about the financial industry, digital banking, big data, and innovative solutions on the market. Visit their blog if you want to stay up-to-date with the latest news from the financial world. 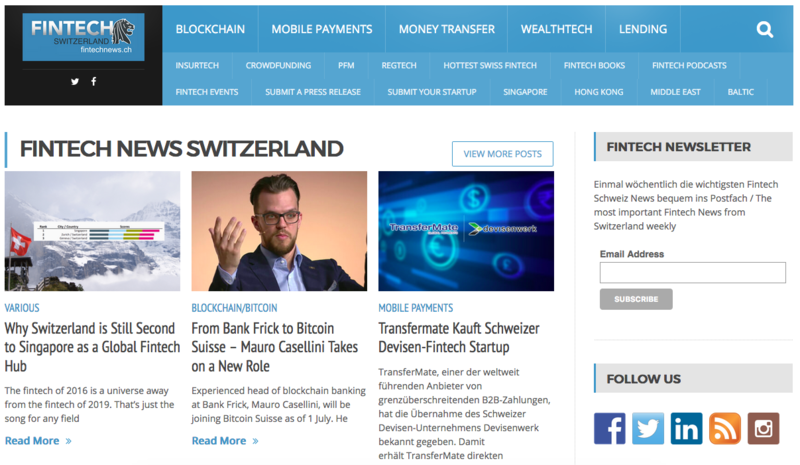 Fintech News Switzerland website is well-known among Swiss-based fintech specialists, as it writes about the latest news, analyses, innovations, and industry updates focused mostly on a Swiss fintech market. The most popular fintech topics that you can find on the platform are mobile payments, blockchain/bitcoin, InsurTech, and crowdfunding to name a few. 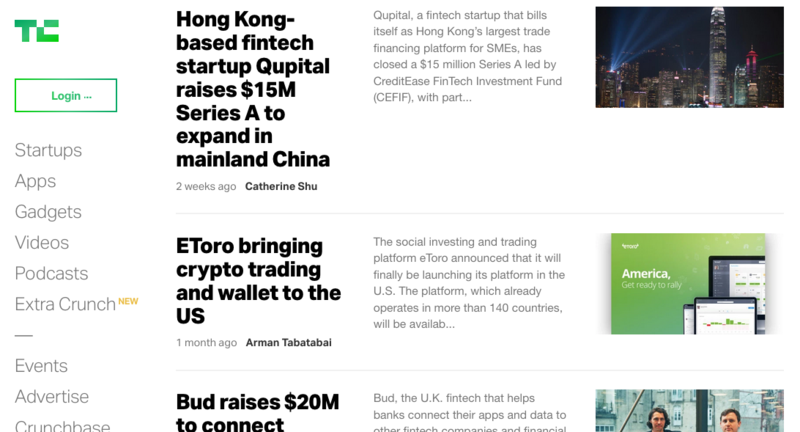 TechBullion is a fintech news website where you can find global fintech news and industry-related articles and analysis. As you can read on their site, they are always looking for the next big thing in the tech industry. 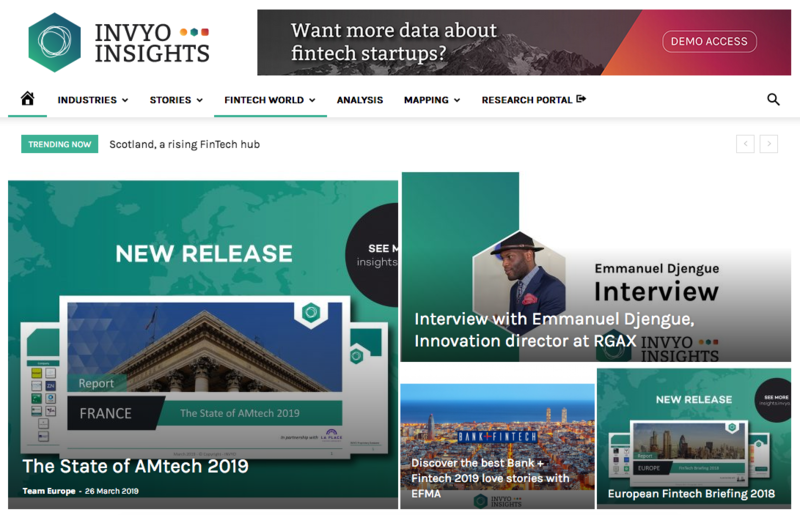 The European version of INVYO Insights platform publishes fintech-related topics that cover payments, InsurTech, digital banking, blockchain, artificial intelligence, financial inclusion, and similar. 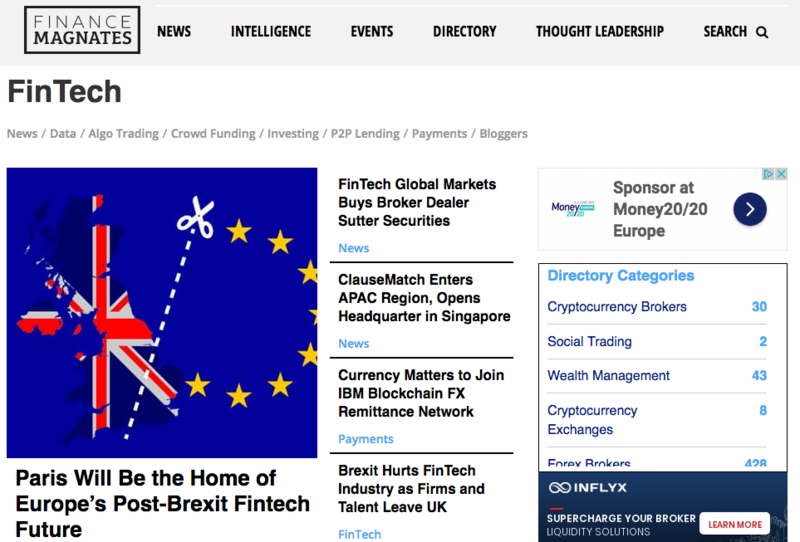 Another worth reading website that covers global fintech industry news about payments, security and regulation, alternative finance or future of fintech and technology. Bank Innovation was launched in 2009 by Royal Media and from the very beginning covers the digital innovation topics. Here you can find articles and news about financial services, digital banking, artificial intelligence, and new technologies that deserve attention. As a payment solution provider, it’s natural for us that the list wouldn’t be completed without websites that gather payments trends, insights, and updated news. Here are the services worth following. PYMNTS is a B2B platform for the payments industry that gathers news, articles, opinions, webinars, data points, and pitches from companies. The website features the latest information not only related to online and mobile payments, but also to e-commerce. 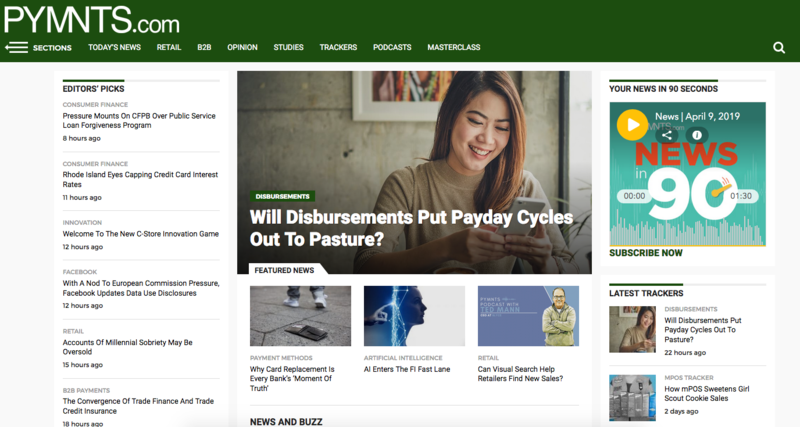 PaymentsSource is a news resource focused on the payments industry, where you can find updates and data from the rapidly changing payments market, as well as in-depth articles and reports. 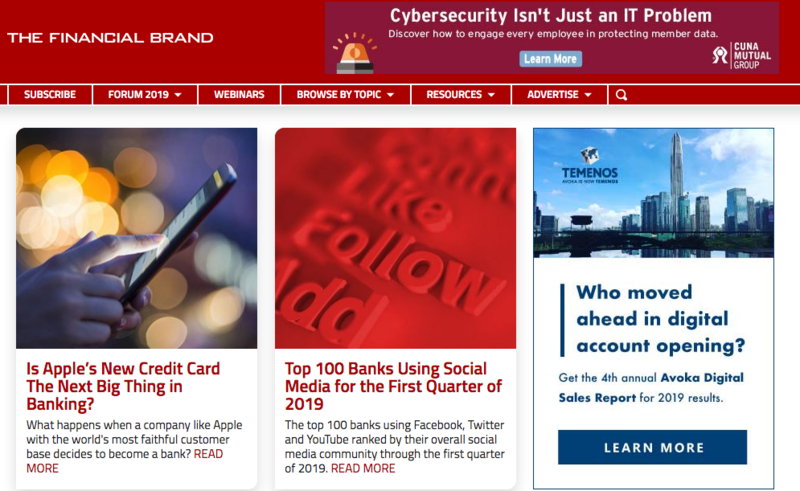 The website covers not only news updates and information on mobile payments and technology, but also banking, retail and online gaming topics, to name a few. 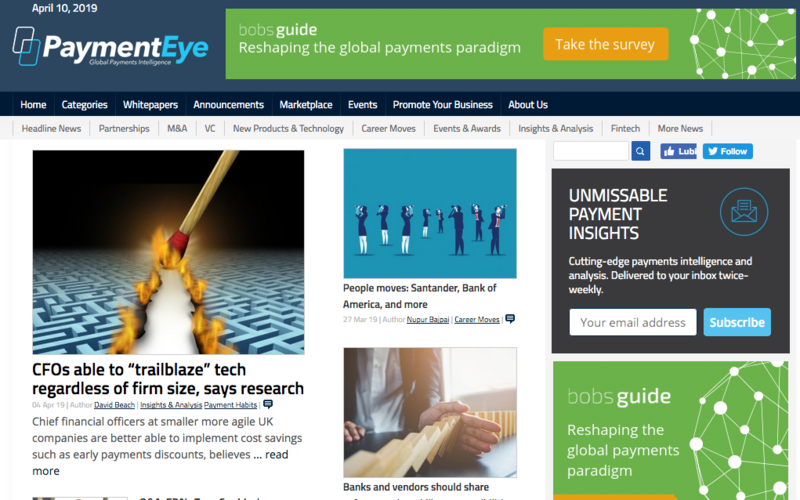 PaymentEye is a media platform with insights from the global payments market. 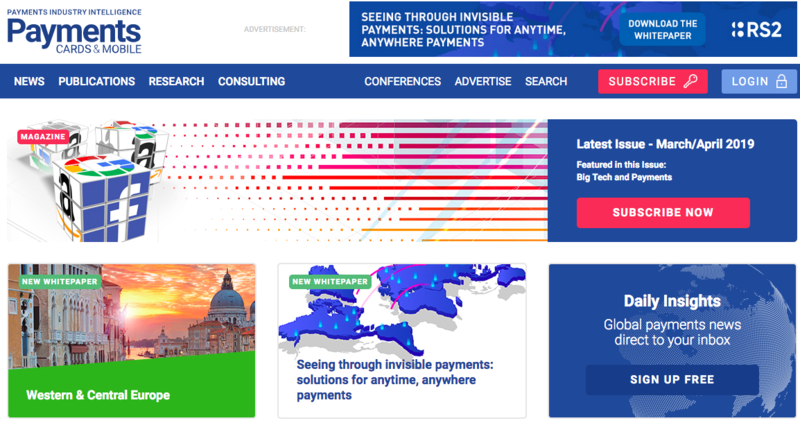 It’s a great place for all who are looking for news and updates from the payments world — not only payment providers but also acquirers, issuers, and merchants. Payments Cards & Mobile is a hub for global payment news, analysis and in-depth articles. Here you can find information about card payments, as well as mobile and contactless ones. They also publish Payment Card Yearbooks that include statistical data analysis, and updated information on the European market. 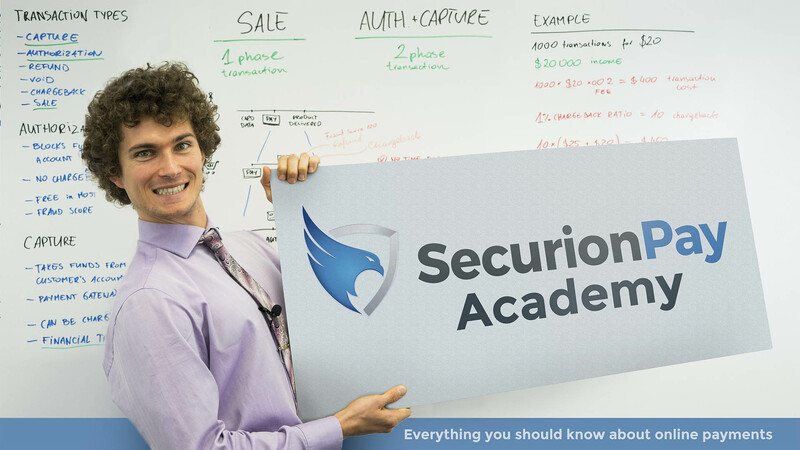 SecurionPay Academy is a knowledge base created by SecurionPay team. Our goal was to bring the payments world closer to everyone who’s interested in the topic by making it easy to understand. Here, you’ll go through the APIs and new technology information, and you’ll see how the payment process look like ‘behind the scenes’. 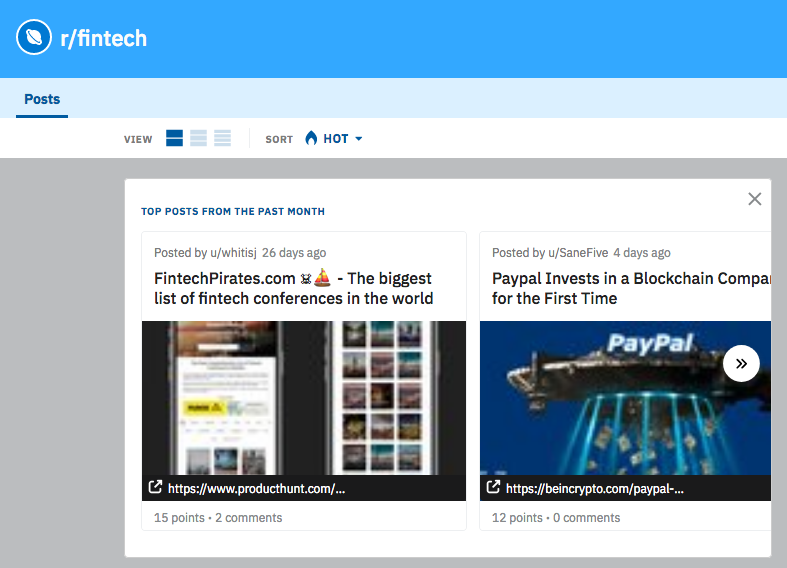 The Fintech subreddit is a place created by a community of fintech enthusiasts to discuss the fintech trends and changes. You can find the latest information about payments, banking, investing and lending, to name a few. Do you know any other websites worth recommending? Let us know!